Zack Sklar’s passion has always been food. At 18, Sklar won at the local, regional, and state level for Skills USA, the largest culinary competition for young adults. In his early 20s, while studying at the Culinary Institute of America in New York, Sklar established a successful catering company, Cutting Edge Cuisine, using his 900-square-foot apartment as the company headquarters. He regularly bid for events against area celebrity chefs and often had the winning proposal. 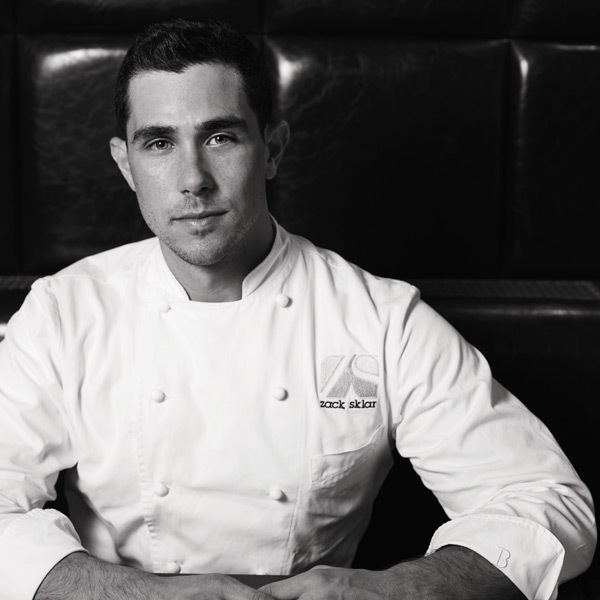 After graduating with an associate’s degree in culinary arts and bachelor’s degree in hospitality management in 2007, Sklar returned to his native metro Detroit to bring growth and innovation to the local restaurant scene. He quickly secured contracts as the official caterer of two synagogues and expanded his client roster with numerous high-end corporate events, weddings, and bar/bat mitzvahs. In addition to his involvement in Cutting Edge, Sklar is a partner in Peas & Carrots Hospitality, which owns and manages Social Kitchen & Bar in Birmingham, and MEX and Beau’s Grillery in Bloomfield Hills. Opened in 2012 to rave reviews, Social features the only rooftop dining in the city as well as contemporary food and creative craft cocktails. MEX opened the following year and was named one of the top 13 new restaurants of 2013 by the Detroit Free Press. With décor reminiscent of Alice in Wonderland, the fun eatery serves contemporary Mexican fare, including a variety of tacos and homemade tamales. Sklar’s newest concept, Beau’s Grillery, opened in August 2014. Its menu explores and expands on classic American cuisine with meats and fish wood-grilled on premises. The restaurant features traditional and comfortable décor. Sklar and his partners are planning to open more restaurant concepts in metro Detroit and expand into the Chicago market. Sklar is hands-on in developing menus, designing restaurant spaces, events, and food presentation, and overseeing management and culinary staff, all to ensure a superlative dining experience for his guests. He works hours that others may shun, but he does it because his passion is boundless. Sklar was included in the Oakland County Executive’s Elite 40 under 40 Class of 2014, recognized as one of the top three young professionals and thought leaders in the 2014 class.